It's so rare for me to read a lovely, rollicking, romantic historical novel, and so I found the days I spent reading Vogel Award-winning novelist Belinda Castles new book an absolute treat. Hannah & Emil is Belinda's fictionalised account of the true story of her grandparents' incredible romance. 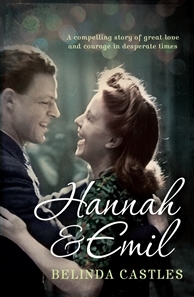 Hannah, an English Jewish woman, falls in love with Emil, a German trade unionist and anti-Nazi freedom fighter who escapes Germany only to be imprisoned as an enemy alien and ultimately shipped to Australia. The intrepid Hannah follws him here, and Belinda Castles captures perfectly this unusual and fraught relationship as it progresses over the decades. 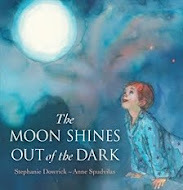 It is a beautifully written book and an engrossing story. "Where is Boris? Sometimes I fancy I see him in the face of some Homburg-hatted relic tottering out onto the heath and I peer into the face beneath the brim, heart racing, but it is never him." "It was hot and the boys tipped back on their chairs, the girls with the fashionable hairstyles and nicer shoes showed each other notes, believing themselves clever, unobserved. Imbecilic, I thought, not that they would know what that meant." Castles' Emil, based so closely on her own grandfather, is a man perpetually trapped and tormented. Locked away in an internment camp in rural Australia, he despises the other refugees with their diverse political affiliations and their propensity to a nostalgia that he cannot allow himself. While they wax lyrical about a lost world of their mother's pfeffernusse (yes, I had to Google that one too), he dwells on a less romanttic world of his own family's loss and victimisation, and his own dour efforts to fit in to a new, Anglo, culture that holds him in suspicion. This is such an interesting and evocative exercise in fiction. I quickly forgot the factual roots of the story, so lost did I become in Belinda's masterful story-telling. If you are looking for a big, beautiful novel that will take you through the quiet moments of Christmas, I thoroughly recommend Hannah & Emil. 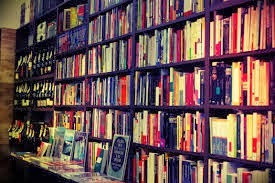 You can buy Belinda's or any other book through our bookstore links, above right. 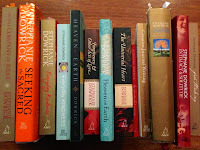 This supports the Universal Heart Book Club and Network via a small % returned to us. Remember, we would love you to share comments also!